The town of Westfield was the genesis of Chautauqua County: it boasts the county's first permanent settlement (1802), first post office, first school, and first church. Formerly known as the Crossroads, the town lies on the southern shore of Lake Erie and includes the village of Westfield and Barcelona Harbor. Westfield offers some 200 images from historical repositories and private collections, providing insight into daily life and special moments over a 175-year period beginning with Native American and French explorations. It features pioneer portraits, prominent national figures, Chautauqua Gorge, a bustling fishing industry, the Grape Belt, and Main Street itself. 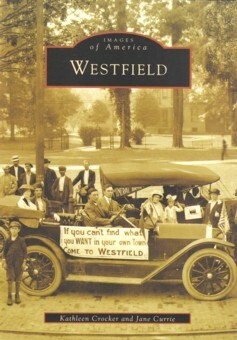 All are essential to Westfield, a treasured tribute to one of the loveliest communities in western New York State.